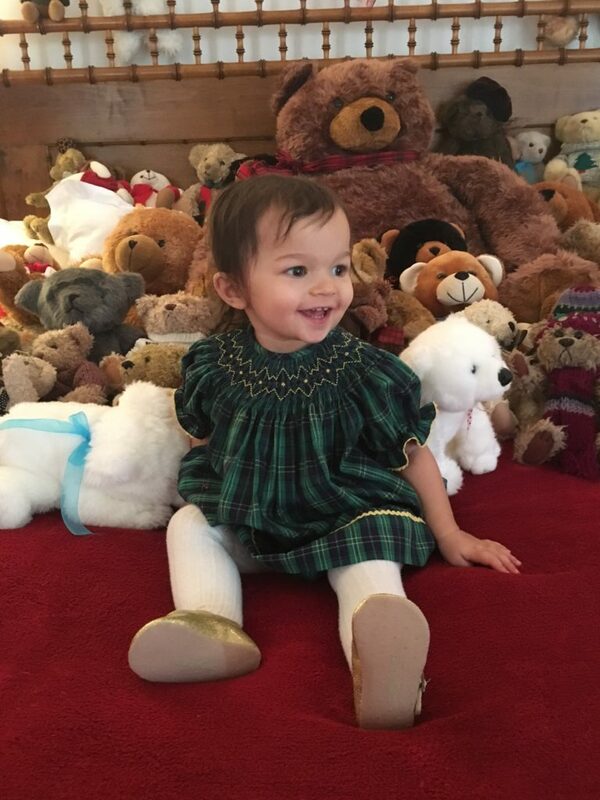 On the final day of the Martha’s Vineyard Teddy Bear Suite, something truly wonderful happened. 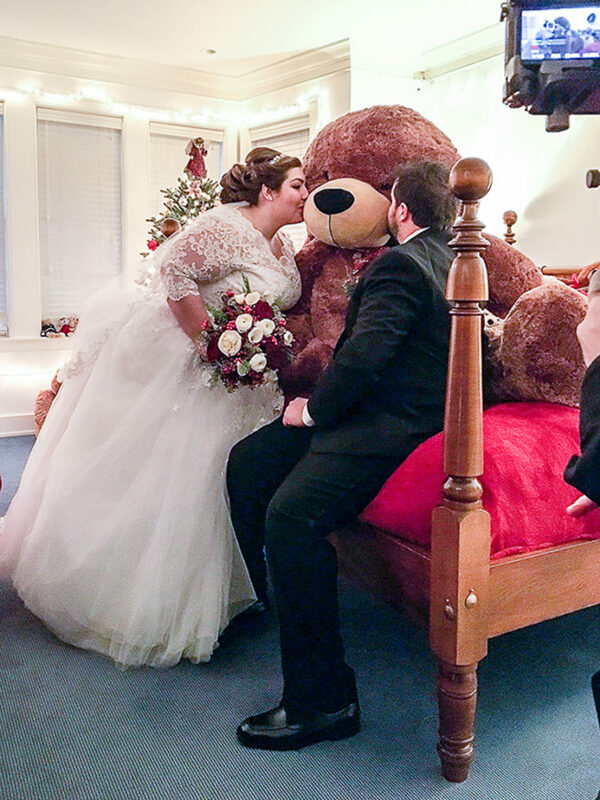 A bride and groom added the Teddy Bear Suite to their list of photo stops. After their ceremony at the iconic Whaling Church in Edgartown, and before the reception at the Chilmark Community Center, a visit to the Martha’s Vineyard Teddy Bear Suite was made. The bride, Lauren Townes, and the groom, Noah Scheffer, are both from the Island. Both love Christmas and the Teddy Bear Suite was a fun, unique way to capture the joy of the holidays and their wedding day. An interesting tie to the event. As a child, Lauren went to the Martha’s Vineyard Boys & Girls Club. It was a place that was special to her and a place she has fond memories of. How wonderful that on one of the happiest days of her life, she was able to do something for the Club. Congratulations! A magical, special experience all the way around. We wish the newlyweds a beary happy life together. 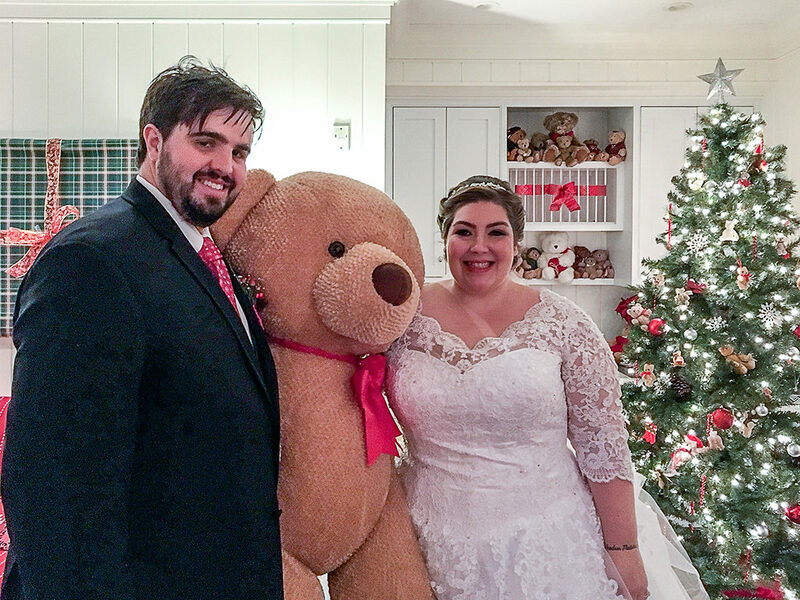 This is the Teddy Bear Suite’s very first wedding couple. I wonder if we’ll have more in the future. 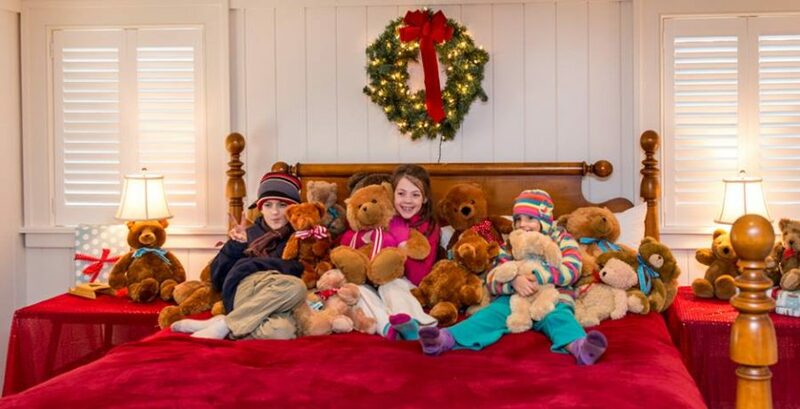 The Martha’s Vineyard Teddy Bear Suite is truly a place where holiday memories are made. 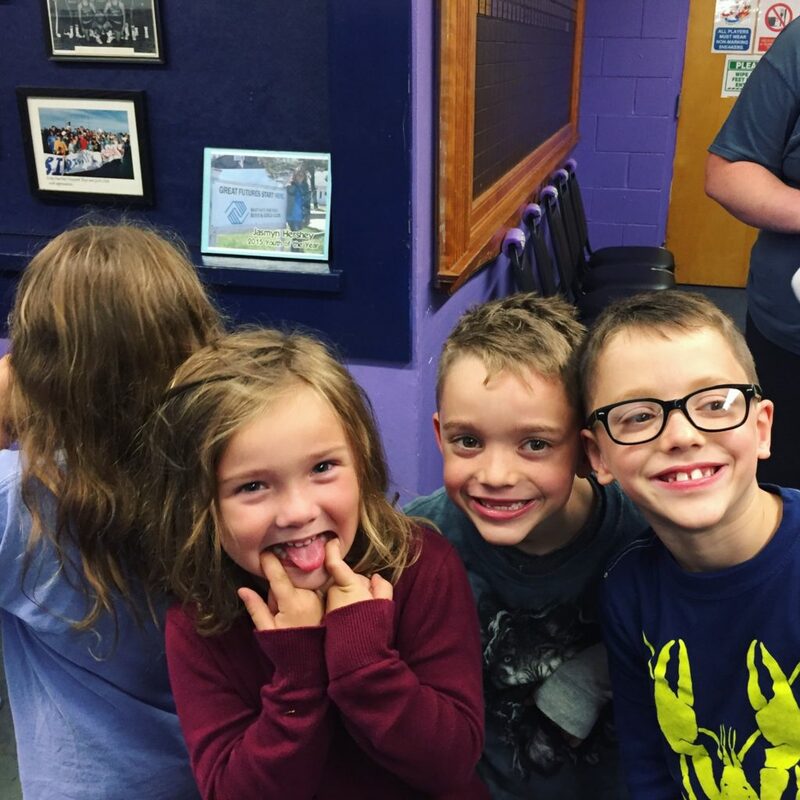 The Teddy Bear Suite is a fundraiser for the Martha’s Vineyard Boys & Girls Club’s Healthy Happy Kids – a new initiative to address childhood hunger on the Island. To help fund this important new program, we quickly reached our original goal of $15,000. We raised that to $20,000 and have now passed that as well. Though the doors to the actual Teddy Bear Suite at the Harbor View Hotel have closed, and the bears are in hibernation, the fundraising will continue online through the end of the month. The need is just too great and the cause is just too important. Perhaps we can even raise $25,000 for this necessary, life changing program for the Club and hundreds of children here on Martha’s Vineyard. To learn more about Happy Healthy Kids, check out The Martha’s Vineyard Teddy Bear Suite is Working to End Childhood Hunger on the Vineyard. ← The Martha’s Vineyard Teddy Bear Suite Fundraising Passes $31,000!